The Ontario Court of Appeal has just handed down its decision in Keatley Surveying Ltd. v. Teranet Inc. The case involved a copyright dispute between land surveyors and the private company retained by the Province of Ontario to run its land titles registry. There are relatively few court decisions that discuss Crown copyright in Canada, and so this case has been an interesting one to watch. It has long been accepted that land survey plans are works in which copyright subsists and that the author of a plan of survey is the surveyor. Under the Copyright Act, this creates a default presumption that the surveyor is the owner of copyright in the work. The dispute in this case is about what happens when that plan is deposited in the provincial land titles registry. While such deposits have been taking place for decades, the issue only became controversial after Ontario moved from its old paper-based registry to an electronic system run by a private company on behalf of the province. Under the electronic system, Teranet, the private company, charges fees for access and for the downloading of documents, including plans of survey. The plaintiff, representing the class of surveyors, objected to what it saw as Teranet profiting from the commercial reproduction and dissemination of their copyright-protected works. 12. Without prejudice to any rights or privileges of the Crown, where any work is, or has been, prepared or published by or under the direction or control of Her Majesty or any government department, the copyright in the work shall, subject to any agreement with the author, belong to Her Majesty and in that case shall continue for the remainder of the calendar year of the first publication of the work and for a period of fifty years following the end of that calendar year. The trial judge found that since they did not create the works under the direction or control of Her Majesty, the Crown could not be said to be the owner of copyright in the plans. However, he was unwilling to find that copyright remained with the surveyors, since to do so might jeopardize the land titles system. Instead, he found that copyright in the plans of survey is “transferred to the province” when plans are deposited. This conclusion is somewhat problematic. As I pointed out in my post on this earlier decision, the Copyright Act requires a signed assignment in writing in order for a transfer of ownership to take place. If the provincial legislation effected a transfer of ownership other than according to the terms of the federal Copyright Act, then this would seem to be a potentially unconstitutional interference with federal jurisdiction over copyrights. Although constitutional issues were raised before the Court of Appeal, the Court of Appeal arrived at its decision in a way that managed to evade them. The Court agreed that surveyors were the authors of their plans and were thus the original copyright owners. It also agreed that the Crown in right of the Province of Ontario ended up as the copyright owner once the plans became part of the registry. However, Justice Doherty, writing for the unanimous court, disagreed with the approach taken by the trial judge, and rejected the idea that there was a transfer of ownership when plans were deposited in the land titles registry. Instead he adopted a rather interesting interpretation of Crown copyright. Section 12 of the Copyright Act provides thatthe Crown is the owner of copyright in any work that “is, or has been, prepared or published by or under the direction or control of Her Majesty […]”. Justice Doherty agreed that the plans were not prepared under the direction or control of Her Majesty, but focused instead on the “or published” part of s. 12. In his view, “[m]ere publication” by the Crown does not give rise to Crown copyright – the publication has to be “by or under the direction or control of Her Majesty”. Justice Doherty reviewed the legislation and regulations that related to the land titles system. He noted that the legislation provides for deposit of plans of survey with the province’s Land Registry Office. The statutory scheme also sets strict parameters for the form and content of any plans of survey that are to be deposited. The plans are subject to review, and the Examiner of Surveys can raise questions about the plans with the surveyors, and can require changes to be made before the plans are finally accepted. Justice Doherty noted that this review process did not constitute the “direction or control” necessary to give rise to Crown copyright on the basis that the works were prepared under the direction or control of Her Majesty. However, he found it relevant to the question of whether the “subsequent publication of the registered or deposited plans occurs under the “direction or control” of the Crown.” (at para 37). Justice Doherty also noted that once a survey plan is deposited in the register, the surveyor is no longer able to make any changes to it without permission from the Examiner of Surveys. He observed that s. 145(6) of the Land Titles Actalso permits the Examiner to make changes at the behest of a third party. Both the Land Titles Act and the Registry Act provide that “certified copies of registered or deposited plans of survey must be made available to members of the public upon payment of the prescribed fee.” (at para 39) Justice Doherty found that the statutory obligation to provide copies of a work “is fundamentally inconsistent with the claim by the document’s author to a right to control the making of copies of the document.” (at para 40) He observed as well that O.Reg 43/96 to the Registry Act provides that no plan deposited in the registry can include “any notes, words or symbols that indicate that the right to make or distribute copies is in any way restricted.” (s. 9(1)(e)). The solution arrived at by the Court of Appeal is certainly more elegant than that proposed by the trial judge. Nevertheless, it does raise important questions. The first is what actually happens to the original copyright of the surveyors. The Court accepts that they are the first owners of copyright, and that the legislative system does not effect a transfer of rights. Yet at the end of the day, the Court finds that the Crown has copyright in the works. Presumably this extinguishes the copyright of the surveyors, but on what basis? If it is not a transfer, is it an expropriation? What level of statutory/regulatory control is required to trigger such a shift in ownership? It might not have been necessary for the court to go so far as to find that the Crown assumed copyright over these works. At one point Justice Doherty states that: “The copyright rests in either the Province or the land surveyor who prepared the plan of survey. If the land surveyor has copyright, the making and distribution of paper or digital copies of the plan of survey is a breach of copyright whether done by an employee of the Province or by a third party hired by the Province to perform that function.” (at para 19). What this statement overlooks is the possibility of a licence – one that might well be implied once a surveyor deposits a plan with the land titles registry. Essentially, the same provisions of the statutory regimes governing the registration of plans of survey could be used to support the view that a surveyor who deposits a plan with the registry provides a broad, perpetual licence to the government to reproduce and disseminate the plans as part of the land titles system. Crown copyright has been a thorn in the side of many who see it as unnecessary at its most benign and a threat to open government at its worst. This decision may breathe complicated new life into this controversial fixture of the Canadian copyright regime. A pair of interesting copyright lawsuits are making their way through the federal court and are worth watching for the novel issues they raise and the potential they have for shaping copyright law in Canada. The Federal Court has just upheld a prothonotary’s decision to streamline this litigation by issuing a stay of proceedings in 9 of the 10 lawsuits until certain legal issues have been aired and decided in the 10th. The decision is based on the view that since each of the cases raises similar issues, it would be more just and a more efficient use of resources to proceed in this way. The defendants do not appear to deny having accessed the articles in question. Instead, they argue that the uses made of the articles in question were fair dealing (based on use of the material for “internal government reporting purposes”). They also raise the defense of copyright misuse. Copyright misuse relies on an argument that the copyright owner, through its conduct, is attempting to secure for themselves a broader right than it is entitled to by law. The defence now has a considerable track record in the United States, but remains novel in Canada. Clearly this litigation raises interesting arguments that make it worth following. The five-day trial for the case that is to go forward has been scheduled for September 2016. A second case involves what is called a “reverse class action law suit” brought by Voltage Pictures against an as-yet unidentified group of defendants for copyright violation related to the downloading of films in which Voltage holds copyright. Typically a class action law suit is brought by a large group of plaintiffs who have all been harmed by the same wrong allegedly committed by a single defendant. The class action law suit allows plaintiffs to pool their efforts and it makes for a more efficient use of judicial resources. Class action law suits can also be used to hold defendants to account in cases where large numbers of people are negatively affected, but no single individual has suffered enough economic harm to make it worthwhile taking their case to court. In these ways, class action law suits improve access to justice. The reverse class-action law suit is quite another animal. In a reverse class-action law suit, there is a single plaintiff who essentially is arguing that it has been harmed by the actions of multiple defendants. Rather than sue each defendant individually, they proceed against a single defendant who is considered representative of the much larger class. Voltage has recently succeeded in having a court compel Rogers Communications Inc. to reveal the name and address of a subscriber whose account has been linked by Voltage to allegedly illegal downloading activity. This will be the representative defendant in a law suit that may put the activities of thousands of other as yet unnamed ISP subscribers at issue. Of course, a court has yet to certify the reverse class action law suit. Voltage’s strategy comes as both the courts and Parliament have put limits on the extent to which ordinary consumers can be targeted in copyright infringement lawsuits for non-commercial uses of works. By significantly limiting the damages available in such instances, Parliament made it deliberately difficult for copyright holders to launch law suits seeking massive amounts of damages against ordinary individuals – a practice that has become notorious in the United States. The “notice and notice” provisions of the Copyright Act also protect against sweeping accusations of copyright infringement that might otherwise limit freedom of expression by compelling the take down of content that might fall within the fair dealing exceptions to copyright infringement. 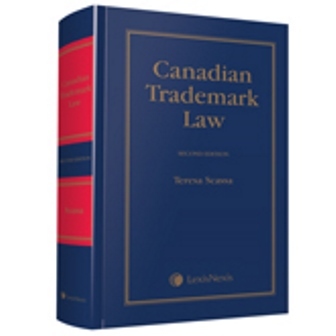 Canadian courts have also been quite protective of individual privacy, requiring that a plaintiff establish a bona fide claim of copyright infringement before a court will issue an order compelling a service provider to produce customer name and address information that is linked to the allegedly infringing activity. The reverse class action lawsuit offers plaintiffs a work-around to some of these protective measures and could open the door to the large-scale pursuit of those who download unauthorized content over the internet. Both copyright owners and users’ rights advocates will be watching this case with interest. At paragraph 8 of 1395804 Ontario Ltd. (c.o.b.) Blacklock’s Reporter) v. Canada (Attorney-General). The social sciences research community has been buzzing over the announcement on May 17, 2016 that the Social Sciences Research Network (SSRN) has been acquired by Elsevier Publishing Group. SSRN is a digital repository that was created in order to enable researchers in the social sciences to share their work in advance of its publication. Prior to the launch of SSRN, long delays between submission and print publication of papers had been a significant problem for researchers – particularly those working in rapidly changing and evolving fields. In addition, it was not always easy to find out who was working in similar areas or to be aware of developing trends in research as a result of the long publication delays. SSRN allows researchers to publish working papers, conference papers, and pre-print versions of accepted papers – as well as (where permitted by journals) published versions of papers. Access to the database is free to anyone with an Internet connection. This too is important for sharing academic research more broadly – many published academic journals sit behind digital paywalls making broader public access impractical or impossible. SSRN has been a game-changer, and it is now widely used by academics around the world as a vehicle for sharing research. Elsevier is a commercial publisher which has, in the past, focused primarily on the fields of science, technology and health. It publishes over 2000 international journals. In recent years it has developed other information “solutions”. These include not only digital publishing platforms, but also data analytics, as well as tools to enhance and facilitate collaboration among researchers. The controversy over the acquisition of SSRN lies in the deep distrust many researchers seem to have about the willingness of a commercial publisher known for its top-dollar subscriptions and generally restrictive access policies to maintain a publicly accessible information dissemination service that is free to both academics and the broader public. The founders of SSRN maintain that Elsevier, which also publishes open access journals, understands the need for broad sharing of research and has no intention of placing the site behind a paywall. They argue that SSRN’s acquisition by Elsevier will only enhance the services it can offer to scholars. Critics of the sale of SSRN to Elsevier raise a number of concerns. One of these is, of course, whether SSRN will genuinely continue to be available as a free resource for sharing research. The reassurances of both Elsevier and SSRN’s founders are firm in this respect. Nevertheless, there are concerns that Elsevier might more strictly police what content is available on SSRN. 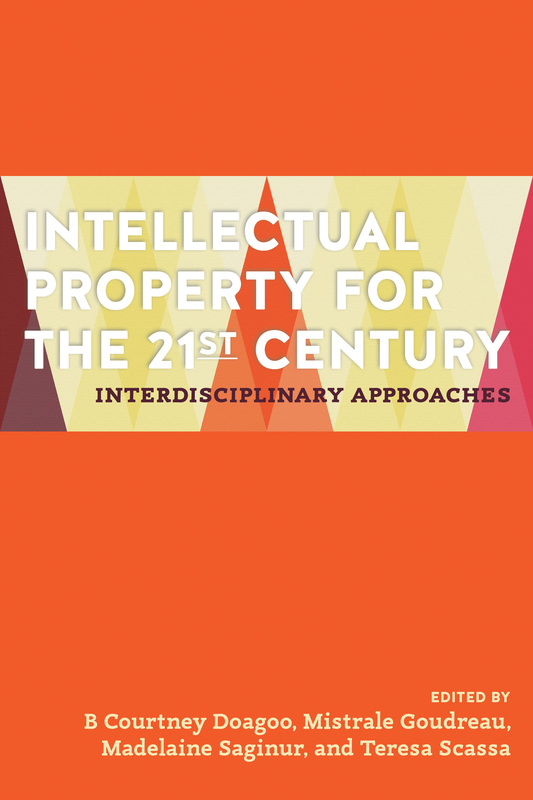 It is likely the case that some academics post articles to which their publishers hold the copyright on the view that enough time has passed since publication to make free dissemination normatively if not legally acceptable. The potential that access to some content might be limited is only one of the issues that should be on scholars’ radar – and it is probably not the most important one. By acquiring SSRN, Elsevier will enhance its expanding analytics capability – and data analytics are an important part of its business model. Researchers should consider the nature and extent of these analytics and how they might impact on the publication, dissemination, valuation and support for research in other venues and other contexts. For example, how might granting agencies or governments use proprietary data analytics to make decisions about what research to fund or not fund? Will universities purchase data from Elsevier to use in the evaluation of their researchers for tenure, promotion, or other purposes? Does it serve the academic committee to have so much data – and its analytic potential – in the hands of a single private sector organization? Given that this data might have important ramifications for scholars, and, by extension, for society, are there any governance, accountability or oversight mechanisms that will provide insight into how the data is collected or analyzed? Essentially, the noble project that was SSRN has evolved into a kind of Facebook for academics. Researchers post their articles and conference papers to share with the broader community – and will continue to do so. While for researchers these works are what define them and are the “value” that they contribute to the site, the real commercial value lies in the data that can be mined from SSRN. Who collaborates with whom? How many times is a paper read or downloaded? Who cites whom, and how often? The commercialization of SSRN should be of concern to academics, but it is data governance and not copyright that should be the focus of attention.